The cameras images shown below are just a small sampling of what is available. 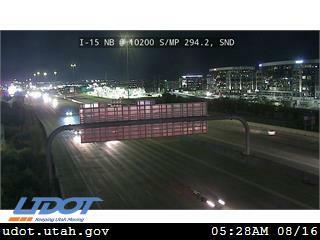 UDOT has more than 850 cameras statewide and more than 150 variable message signs (VMS). 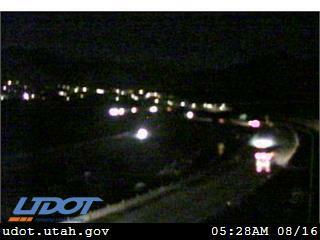 Images from the cameras and VMS can be seen on the UDOT Traffic website, along with incident, construction and weather information. Traveler information is provided as a public service. 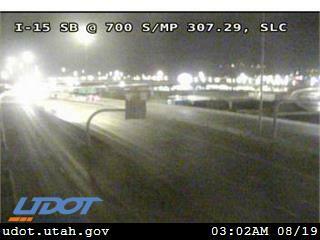 Information is published automatically by the UDOT Traffic Operations Center; the accuracy or timeliness can't be guaranteed. Availability of data is dependent upon several factors beyond the control of UDOT, such as Internet service, computer, communications networks, sensor and photography equipment. We apologize for any misinformation and work diligently to keep the system as current and accurate as possible. The Utah Transportation Commission meets monthly to prioritize project and determine how funding should be spent. Information regarding upcoming meetings and previous meetings can be found on the Commission webpages. UDOT works with the legislature to provide data and information that help identify statewide transportation needs. Here at UDOT we're excited about the future and the role Connected and Autonomous Vehicles will play. Not only will they help us reach our goal of Zero Fatalities but they'll ultimately Keep Utah Moving. Redwood Rd; 9000 S. to 12600 S.
S.R. 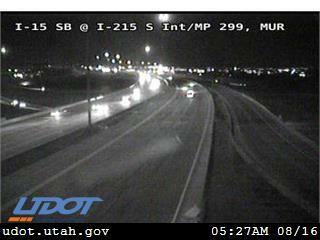 193; 3000 W. to 4500 W.
SB I-15; S.R. 201 to 12300 S.